Cookies for breakfast? Oh yes! 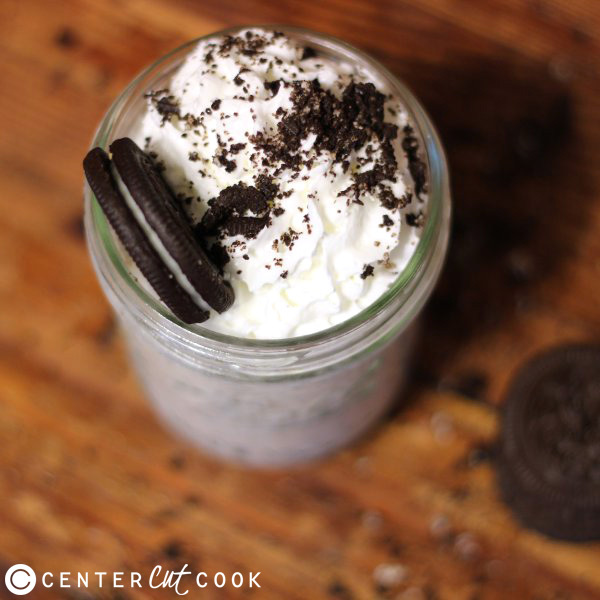 This delicious Cookies and Cream smoothie is satisfying and pretty healthy for you- if you can stop at just one serving! Ah, cookies. Who can resist their sweet siren song? Especially when mixed into something smooth, cool and creamy. Personally. I’m addicted to Dairy Queen Blizzards. I’ve found smoothies to be a very good way to break the habit (and expense). Usually I’ll go for something super healthy, like a green smoothie. But every once in a while, I just want cookies. But I also want them to be somewhat healthy, if possible. 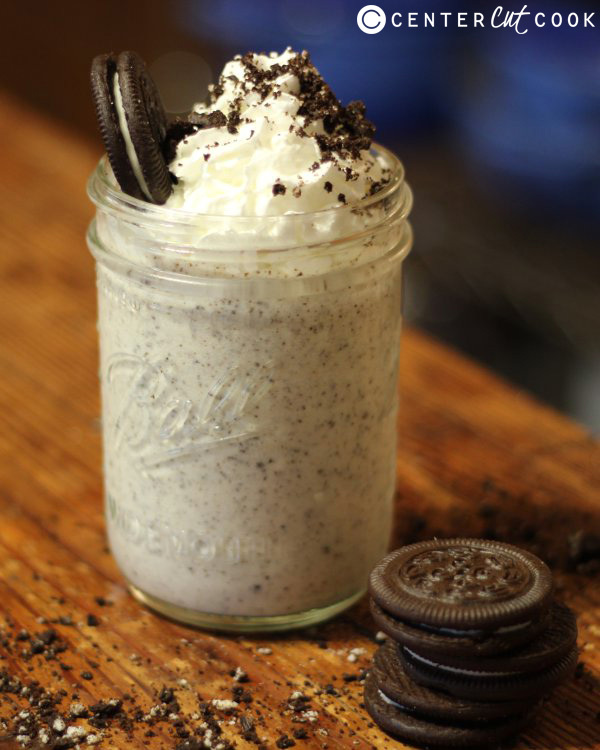 Enter the Cookies and Cream Smoothie that is (mostly) good for you. You can make them with any yogurt or milk of your choice- whole, skim, organic, raw, soy, almond, coconut, etc. Just remember that any extra flavor in the ingredients is going to show up mightily in this particular smoothie. The creamy part needs to be pretty neutral to show off the cookie part. This also applies to the bananas you use. I’ve found that organic ones have a very strong banana flavor, which is great in some smoothies, but too much for this one. You want regular, plain old mild bananas for this one. Just a peel a few, put them in a plastic baggie and stick them in a freezer for a few hours. If you like more of a tangy, cheesecake like flavor, try plain yogurt with just a little bit of vanilla extract. Note: To get the right texture (similar to an Oreo Blizzard or Cookies and Cream ice cream) keep the cookies completely out of the blender. Instead, blend the first three ingredients, pour into a cup, and mix in the crumbles. Otherwise, your cookies will be pulverized into oblivion, especially if you use a Vitamix! In a blender, combine bananas, yogurt, and milk.